We all love an ocean view right? Admire the sparkling waters of the Pacific Ocean from your private patio or balcony plus indulge in ultimate style and comfort! 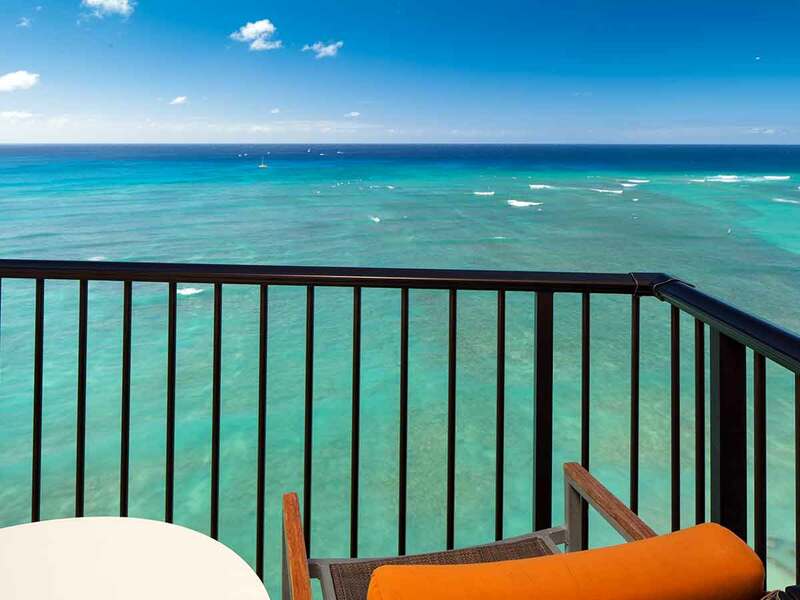 Experience Hawaii the way it should be when you stay in a Partial Ocean View Room this holiday. We’ll get you to and from the Island of Hawaii with no troubles – all you need to do is pack your bag and make your way to the airport! Enjoy return economy airfares with 2 x 32kg checked luggage included in the price. The last thing you want to do on your holiday is stress about how you’re going to get to and from the airport. Enjoy return airport transfers on us so that you start and end your holiday in the same way—at total ease, completely relaxed. Nothing says luxury like a free room upgrade! Live like a VIP and enjoy a little extra with us. Spread out more and take in incredible views. How good is that! Feeling peckish? Hunger can strike at all times of the day, and when that happens we’ll have your back! 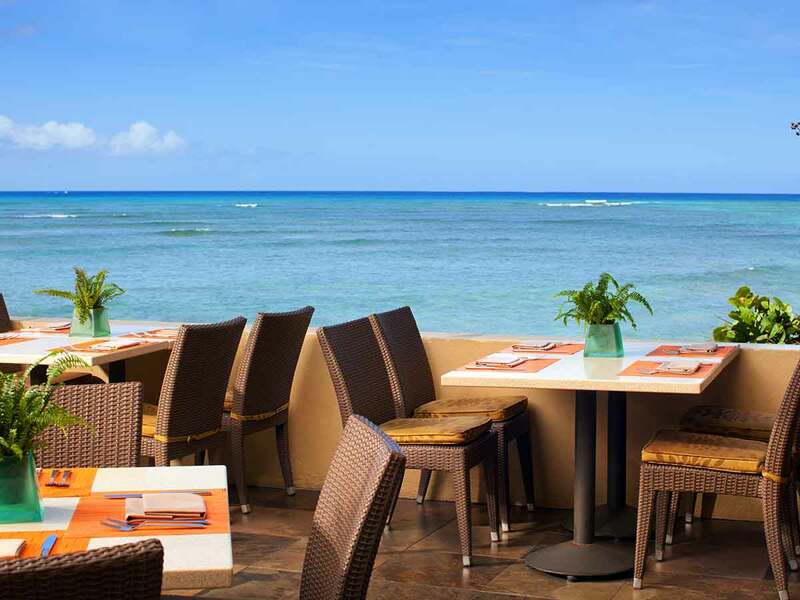 Enjoy this complimentary USD $50 dining credit when you stay at the Sheraton Kona Resort & Spa. We’ve made exploring the Big Island easy for you! Leave the hotel room behind and enjoy the incredible sites of Hawaii with 3-day economy car hire on us. Rest assured that there will always be a place for your car this holiday. 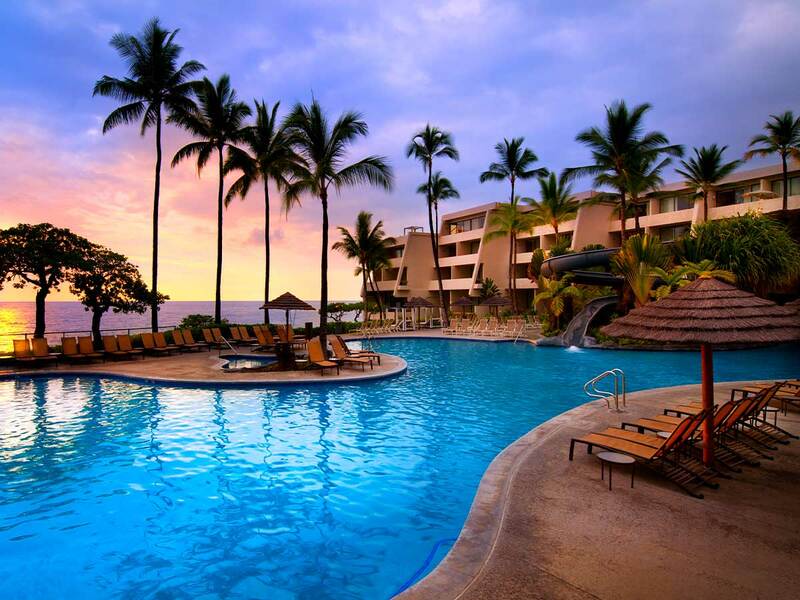 Gain parking and peace of mind when you stay at Sheraton Kona Resort & Spa this holiday. As soon as you walk into the room your eyes are immediately drawn to the large sliding door and the breathtaking ocean views outside. Sit on your furnished balcony overlooking the beach and soak up the warm Hawaiian weather, or retreat to your air-conditioned room and enjoy the flat-screen TV with cable and satellite channels. You have either a King-size bed or 2 Twin-beds so the room is suitable for 3 or 4 people to stay. You have the use of a minibar and tea and coffee making facilities. This 38sq. metre room, perfect for a group of 4, opens up to magnificent lush vegetation and partial ocean views. Rest in comfort and style with a room that has modern amenities and interior design, featuring classy yellow tones and beautiful woodwork. This fully air-conditioned, non-smoking accommodation is also furnished with a private balcony with sitting area, great for your daily coffee break. It also comes with either a King or Twin bedding configuration as well as a luxurious spa bath. For the best soak, all you need are some aromatherapy oils, scented candles or organic bath bombs. 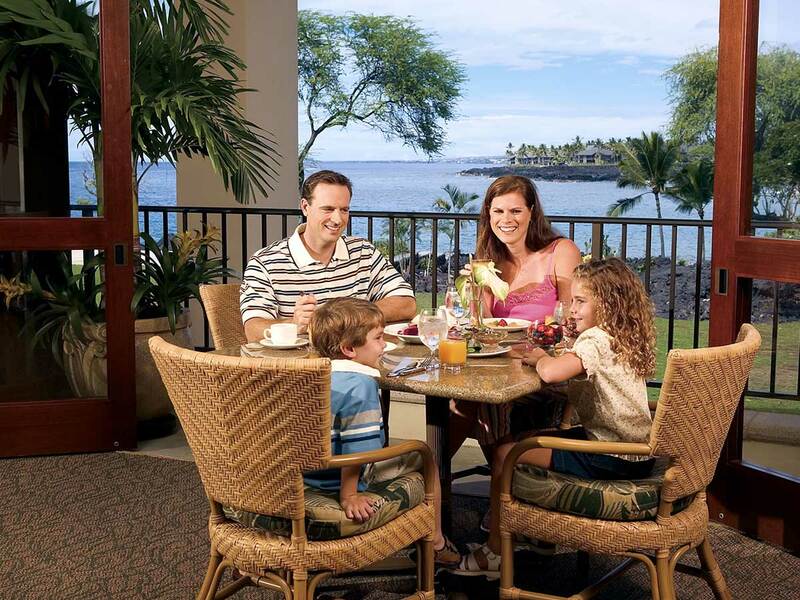 Enjoy breathtaking views of the Kona Coast and Keauhou Bay from your room’s balcony. This 38sq. metre accommodation comfortably sleeps up to 4 guests. With a room that is stylishly-designed with modern interiors and a spacious outdoor sitting area, you are guaranteed to have a pleasant stay. This room is fully air-conditioned and non-smoking and it is equipped with either King or Twin bedding of your choice plus deluxe pillow top and duvet. In-room media includes high-speed internet and LED TV with premium channels and on-demand movies. Complete your pamper-me-time by soaking in your own spa bath. 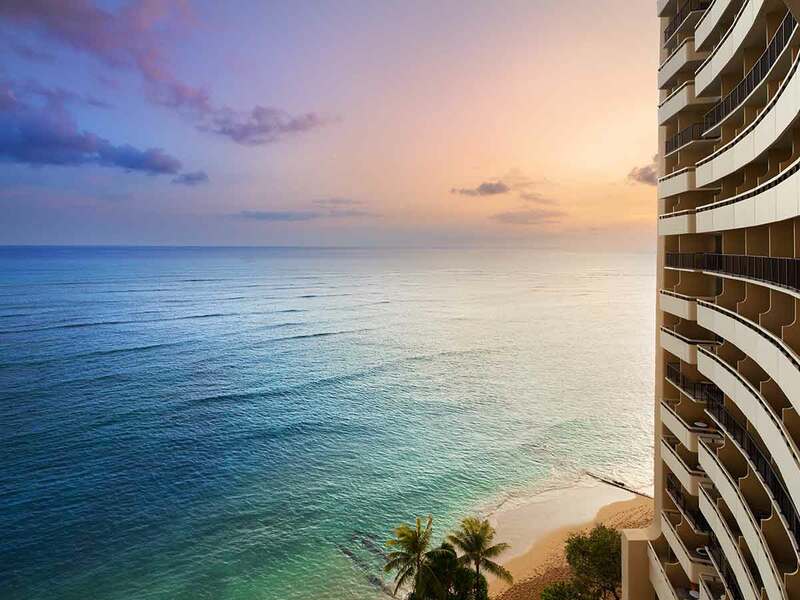 Located in an ideal oceanfront position in central Waikiki, this large, modern hotel puts you close to everything this amazing part of Hawaii has to offer. The beautiful sandy beach is right in front of the hotel and the vibrant Waikiki city area stretches out behind the hotel with every convenience you could want. With delicious dining options, bars and entertainment and 2 crystal-clear pools, there is something here for everyone to enjoy. 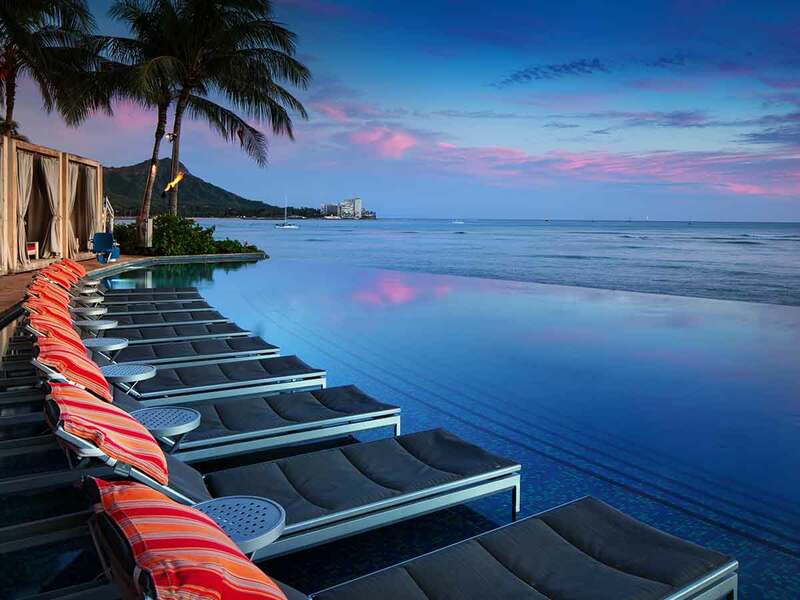 This hotel is a great choice for your next getaway to Hawaii and is a holiday destination you’ll never forget. 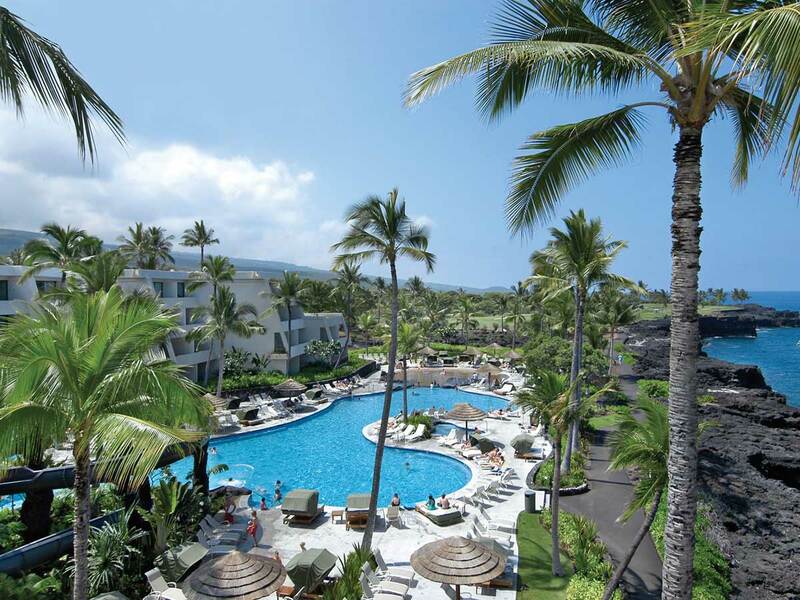 Sheraton Kona Resort & Spa, located in the iconic Keauhou Bay, is a blend of fun-filled adventures, rich culture and genuine Hawaiian hospitality. You can find this gem in Kailua-Kona town on the west coast of Hawaii, atop rugged rock formation. The resort’s beautiful location is second to none, providing direct access to the ocean. With a well-appointed accommodation that overlooks the Keauhou Bay, what more could you ask for? 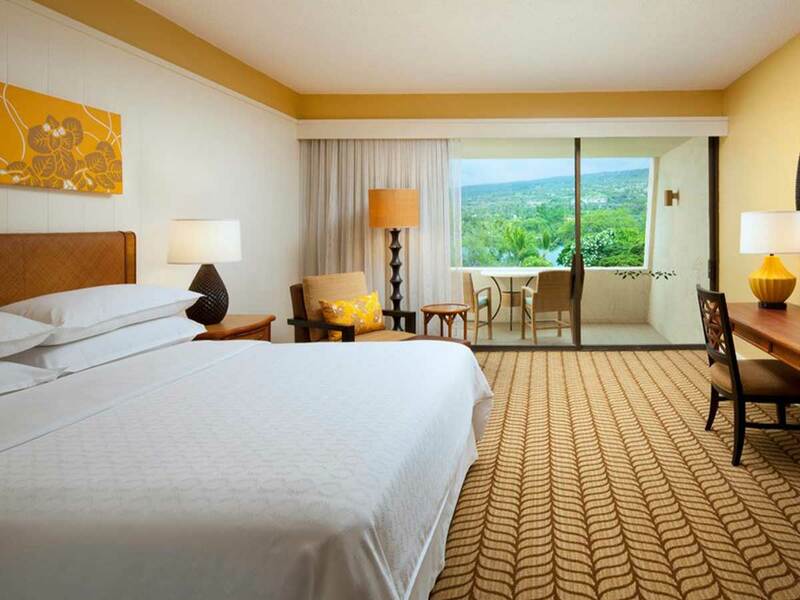 Sheraton Kona Resort & Spa’s collection of luxury rooms and suites offers bespoke amenities. Ideal for those who are looking to have a tropical escape, each accommodation features sweeping views of the mountain and ocean. Live the island life in our oceanfront spa pool, the Ho’ola Spa. Feel refreshed and reinvigorated after getting a body scrub and massage. In-suite massages are also available. Various islands activities, such as snorkelling and hula lessons, are also not to be missed! How do I make a booking once I have purchased a Flight Centre Exclusives voucher? Customers will need to contact the Flight Centre Exclusives team. When you contact us to make your booking, we will endeavor to book and confirm all components of your package within 72 hours of receiving your booking details. Should we not be able to confirm any component, we will contact you with an alternative within 72 hours. For further details regarding the booking process please refer to our full Terms & Conditions (use the link at the bottom of this page). Can I purchase travel insurance through Flight Centre Exclusives? Yes you can purchase travel insurance. Please call 1300 222 900.  The Australian Government advises that all travelers obtain travel insurance prior to travel. The insurance should cover loss of deposit and other monies through cancellation, loss or damage to personal baggage and loss of money, medical expenses, additional expenses to cover hotel accommodation and repatriation costs to Australia should any services need to be extended or curtailed due to illness or other insurable risks. Our reservations team can provide you with general information about travel insurance at the time of booking. If you do not require travel insurance, you agree to provide written acknowledgement that a recommendation to obtain travel insurance has been made to you by us. You can visit the 'Availability' tab which has live, up-to-date availability. Simply select a date in the calendar above the availability grid. For airfare availability, please contact Flight Centre Exclusives on 1300 222 900. If I want to travel on a particular date but haven’t purchased a Flight Centre Exclusives voucher, can the booking/room be held for me until I have purchased the voucher? Your booking is subject to the availability of the actual rooms provided by the resort for the Flight Centre Exclusives promotion. This allocation of rooms is well in excess of the rooms required to satisfy the offer, however, not all rooms available at the resort on any given day will be available to guests participating in the promotion offer. Please note that booking available rooms is on a First Come First Served basis. No. Bookings/voucher redemptions and availability checks must be made through Flight Centre Exclusives. I haven’t received my Flight Centre Exclusives voucher yet. What do I do? Please call the Flight Centre Exclusives team on 1300 222 900. Where can I find full terms and conditions for Flight Centre Exclusives? No charge for children under 18 when occupying the same room as adult(s) using existing bedding. Please be aware you MUST have 6 months validity on your passport on day of arrival back into Australia. To enter the United States, you must hold a valid ESTA visa which is to be issued at least 72 hours prior to your departure from Australia.